Hello March! The promise of spring’s arrival is enough to get anyone through the winter. Think spring! 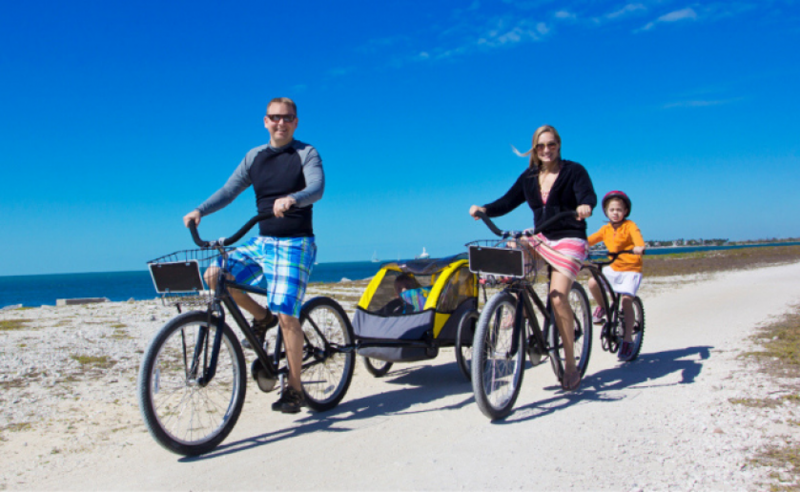 Imagine yourself at one of our Spinnaker Resorts locations, swimming at the beach in Ormond Beach, FL, walking to one of the shows in Branson, MO or biking in Hilton Head, SC. Our activities staff is planning and preparing your arrival because it’s all about you, the fun and, making memories. Here are the top picks for each location. 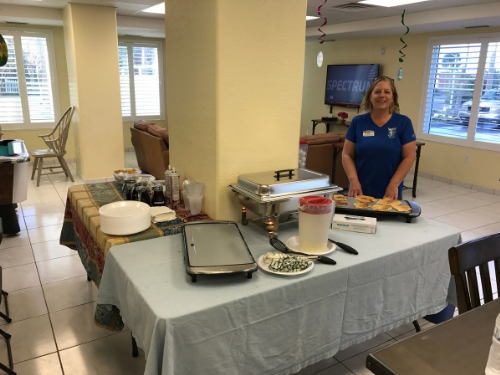 Pancake Breakfast: We are excited to bring back our Pancake Breakfast every Wednesday morning in the South Gathering Room. Guests can get three pancakes with your choice of blueberry, maple or sugar-free syrup. We also have peanut butter, powdered sugar, butter and whipped cream. Guests can have a morning mimosa for a $1.00! You also have a choice of coffee, hot chocolate, tea or juice. Come join us for a yummy breakfast before you hit the beach! 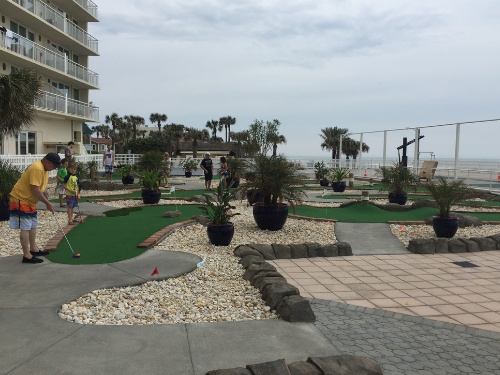 Putt-Putt Tournament: The Putt-Putt Tournament is one of our spring favorites! The tournaments run Fridays and Saturdays. Come by the North Activities Room, grab a ball and putter, and meet us on the course. 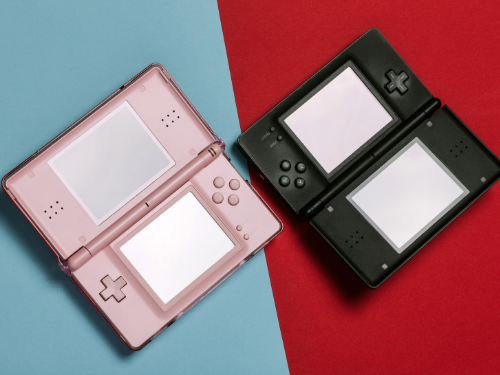 Play a friendly game with other guests and you could be the big winner. 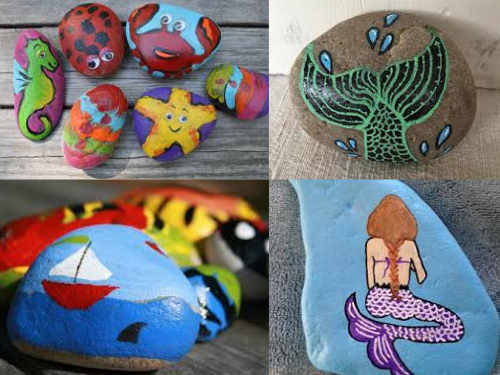 Rock Painting: This spring we are painting rocks in the North Activities Room on Fridays. We have lots of paint colors to pick from and we have oil paint pens for detailing as well. When your rock is done you can take it home. Join us to learn about the latest rock trend. 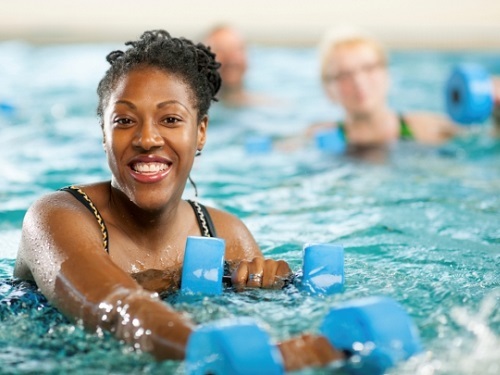 Aqua Fitness: It is one of our most popular programs year after year! This wonderful no impact form of exercise is perfect for all ages and fitness levels. Our guests love working off those vacation calories while having fun in the water with our recreation staff. 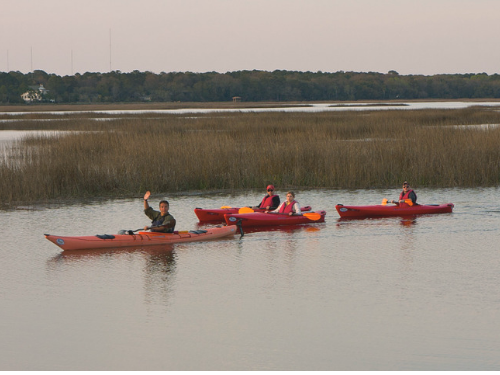 Group Kayak Paddle: Exclusive to our Bluewater Resort and Marina location, guests can enjoy a guided kayak paddle on the scenic Skull Creek archeological site. Local wildlife abounds and paddlers are often treated to sightings of some amazing creatures. You may see a bald eagle, a White-tailed deer, a bottlenose dolphin, and even an occasional pod of manatee during the warmer months. Space is limited, be sure to reserve your spot early in the week with our recreation staff. Don’t miss this incredible opportunity to enjoy a unique experience that is sure to become one of your favorite vacation memories of Hilton Head Island. Nintendo Switch Games: As a courtesy to our vacationing parents, we are more than happy to make your life easier by giving you the ability to assure your Gamers won’t have to remain unplugged the entire time they are spending with you on your family vacation. Experienced players and “noobs” (beginners) are welcome to join our recreation staff and enjoy challenging one another in a variety of today’s top video games. Painting Crafts: Paint on your own canvas! You can choose a ceramic kitty cat planter to take home and put a flower in, a piggy bank to save your money, and a jewelry box to put the new jewelry you made with us. These are just a few options. All you have to do is just think outside the box. 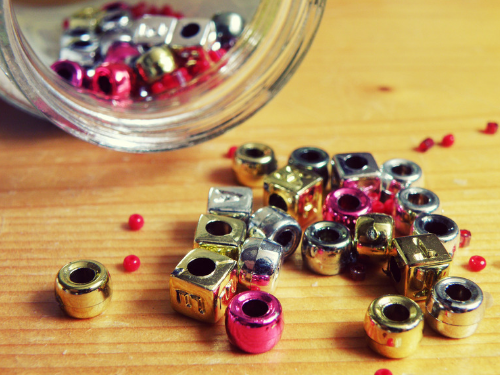 Jewelry Making: Make your own earrings with a matching bracelet and a necklace. 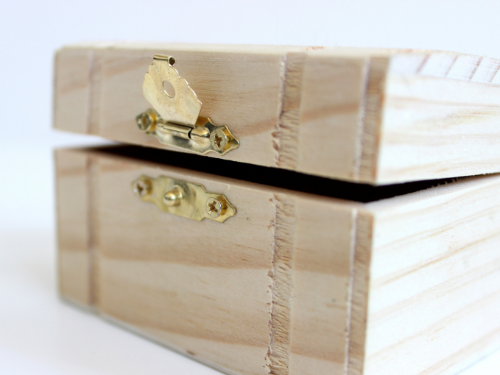 A craft you will treasure with your family and friends. 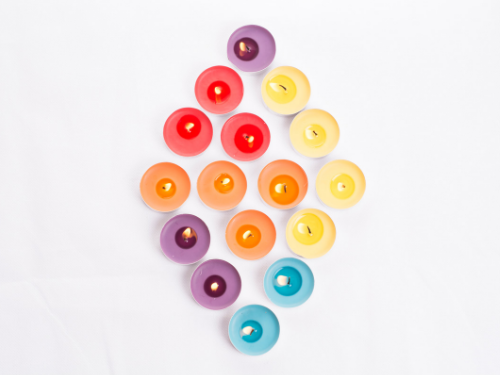 Candle Making: Sooth your senses and make your own candle. You get to choose the look and of course the scent! It’s a great item to take home and enjoy.